Have You Ever Crossed Paths With Populizr Or Sprout Social? You have probably crossed paths with these tools if you work in the social media marketing field. Almost every social media marketer is familiar with these tools. Nevertheless, whether you are familiar with them or not, you must know the basic functionality of these tools to choose the best social media tool for your needs. That’s why today we’ll go through pros and cons of Populizr vs. Sprout Social. 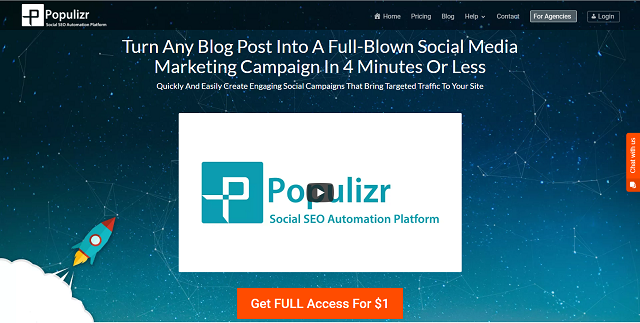 Populizr is a Social SEO Automation Platform that can help you boost your social SEO and indirectly increase your ranking on Google. Populizr offers some unique features like selecting the timezone of your target audience and checking how emotionally effective your social updates are. 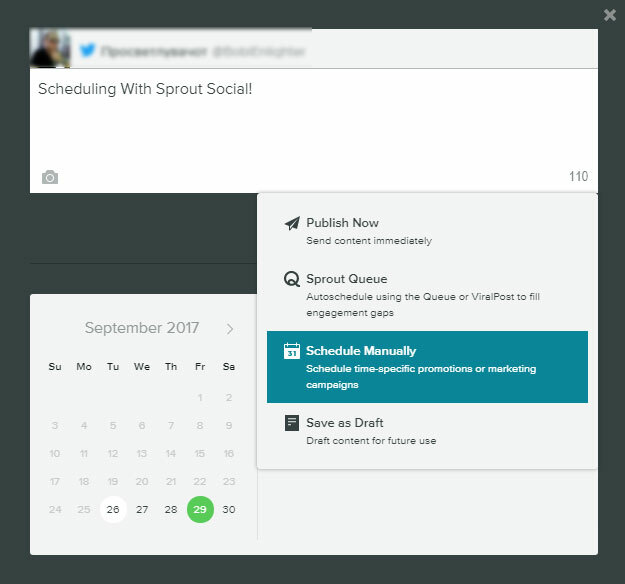 Sprout Social is a social media management tool. It allows you to publish, schedule and analyze your content and also to engage with your audience. Populizr offers pricing plans for individuals and agencies. This analytic offers a graphical and tabular representation of the analytics on social media networks. The tabular representation of the analytics consists of the number of posts and clicks on your integrated social media networks as a result of the users’ engagement. This analytic represents a map where you can see the engagement with your posts from each country based on the social media channel (network). With Populizr you can create up to 25 unique variations of a single post. Populizr is the only social automation platform that offers this feature of automation. Populizr provides two options for publishing. The first option is to publish the content right away. The second option is to create a campaign of posts for publishing. Also, there is an option to choose the post from an RSS feed. The better option between these two is to create a campaign because it is well organized. Populizr provides 3 default plans for scheduling. Those are Standard, Promotional, and Evergreen. If none of these plans don’t meet your requirements for scheduling, you have the option of creating a custom plan. With Populizr you can get the Populizr WordPress Plugin. It smooths the process of creating posts by pulling the key data from your website. This plugin is included in the Populizr’s Power plan. 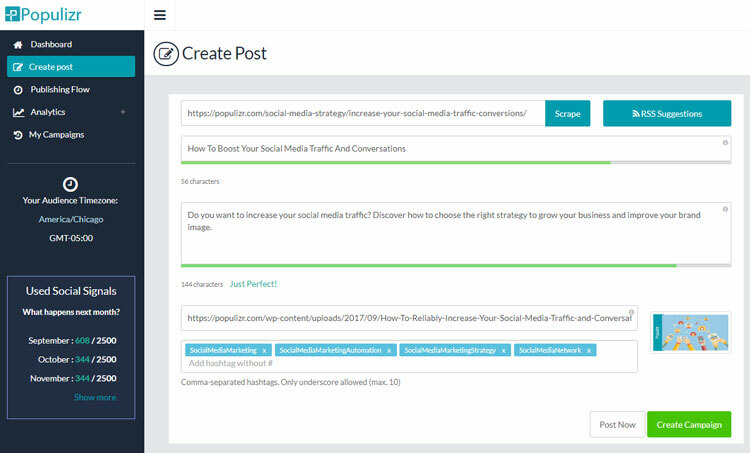 It lets you choose which specific content to pull from your blog post for making the social variations. 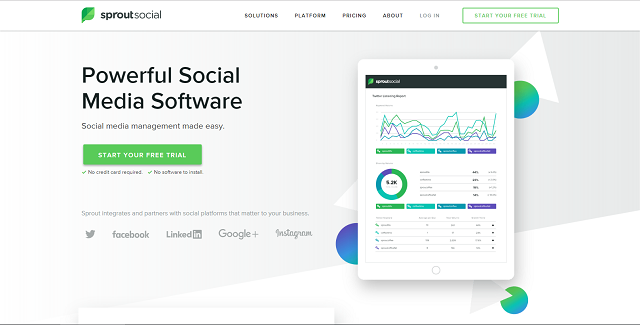 Sprout Social is a management tool for social media networks. 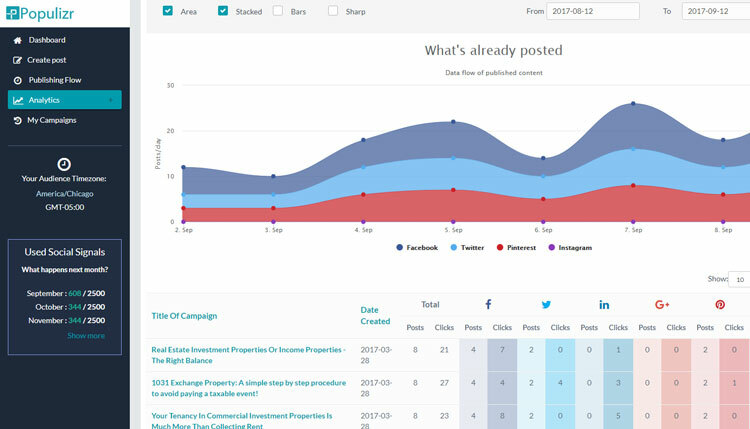 With it, you can schedule, publish and analyze your content and engage with your audience. Sprout Social, above all, offers a comprehensive way of generating reports of the overall social media activity. 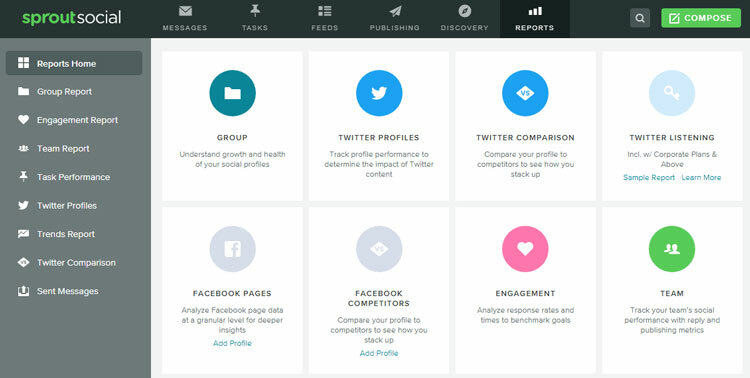 Also, you have the option of creating segmented reports for individual social networks, team progress, or comparison reports between the social media networks. Sprout Social also has the functionality of posting messages on the social media network. The beauty here is that everything is accessible from one place. Publish Now – By using this feature you will publish your post immediately on your connected social media networks. Sprout Queue – If you choose this option you will allow Sprout Social to post for you at the most convenient time when engagement is higher. 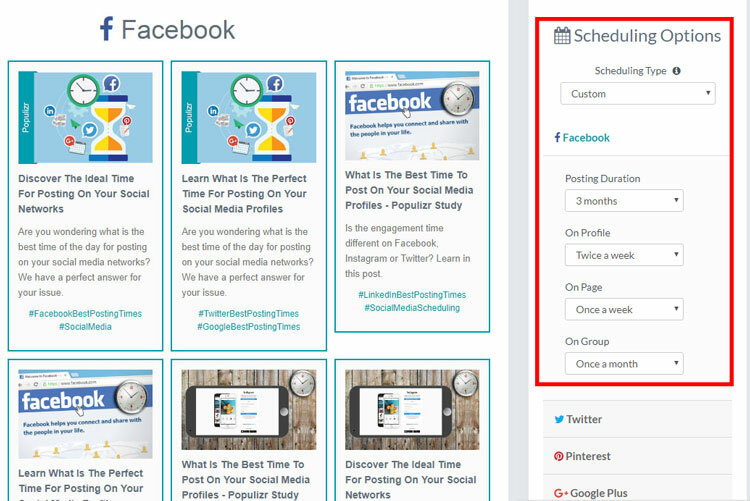 Schedule Manually – You will use this option more often for publishing your posts on a manually selected date and time. Save as Draft – You can save your posts for future edits. This tool as an additional feature uses bit.ly for shortening the URLs. The only drawback is that you can only use one bit.ly account per profile because bit.ly doesn’t support multiple profiles. 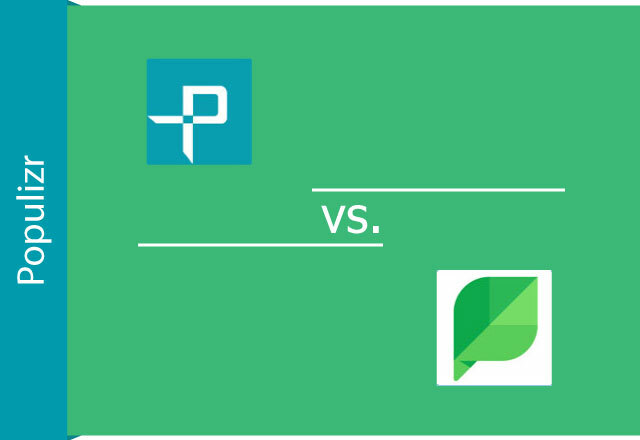 Which Tool Will Win In The Battle Between Populizr vs. Sprout Social? You have probably noticed that there is a certain amount of differences between Populizr and Sprout Social. The main difference is in the implementation of the social media networks. In this case, Populizr has integration with Pinterest and Sprout Social integrates Instagram. Also, as an important thing to mention, Populizr supports more options for posting on the social media networks. Populizr and Sprout Social have a different approach to keeping track of their analytics. Both tools are efficient in this field, but only Populizr can keep track of the analytics by demographics. The most significant difference though between these tools is in the creation and publishing of the content. Populizr is unique in this field because it is capable of creating 25 unique variations of a single blog post and it shows you emotional and sentiment analysis of your content. So, in this field, Populizr is the absolute winner. Scheduling is also quite different between the two. With Populizr you can schedule your content for posting during a whole year with just one click. 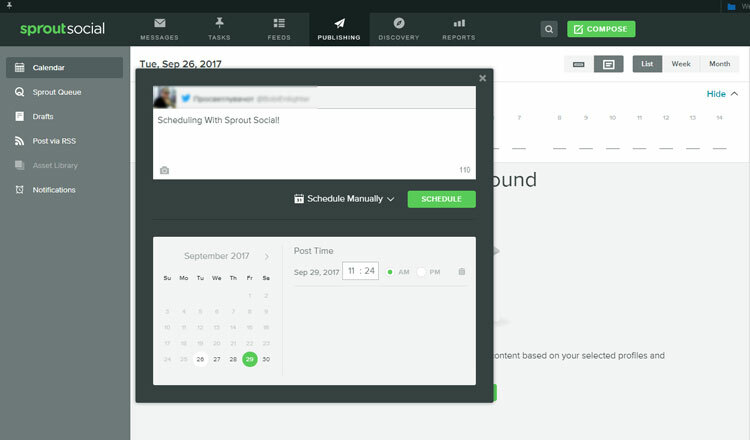 With Sprout Social, on the other hand, you can only schedule your content manually at the exact time. Both tools offer extra features that are different from each other. For example, Populizr provides a WordPress plugin that can make the scheduling process a lot smoother and easier. Sprout Social doesn’t have this feature. It uses bit.ly URL shortening. After the detailed analysis and comparisons of these two social media scheduling apps, it’s up to you to determine the winner of this battle. Choose wisely!